Ashtech’s Olivier Casabianca talks GNSS, how technology is shaping the future of surveying, and what to know before buying. Historically those who have possessed the best technology have been at the forefront of any endeavor. The ancient Romans ruled half the known world because they had the best equipment and most advanced fighting techniques. Johannes Guttenberg revolutionized the publishing industry when he invented a printing press with movable type, and in this last century computers changed everything. With the advent of satellite communications and ever-more affordable computer hardware and software that expand the capabilities of surveyors, GNSS innovations have been advancing at a rapid pace. Ashtech’s GNSS product marketing manager Olivier Casabianca was quick to point out that surveyors who have used satellite-based technology have come to the forefront of our profession. 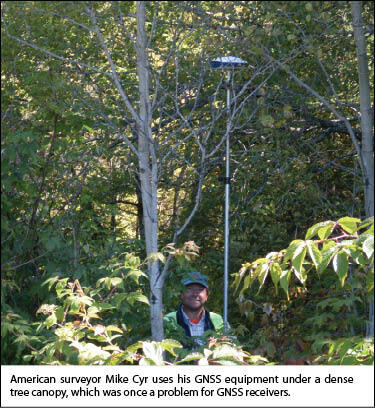 “We never saw a surveyor who tasted GNSS go back to traditional techniques,” he said. Are you working in difficult environments, like cities with tall buildings? Then make sure to have a GLONASS option and a high-quality multi-path mitigation capability. 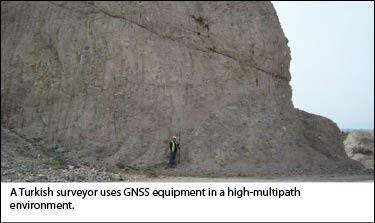 Are you working on large survey sites or covering a broad territory? Then invest in a long-range RTK capable receiver (>30km). Are you working with access to RTK network corrections? Then buy only a rover with built-in communication modules. Do you want your system to operate with your existing equipment, including total stations? Then review the data formats supported by the receiver, including the controller and the software. As with most advances in technology, GNSS has the potential to improve the productivity of the surveyors using it. With increased production over the use of optical systems comes increased profitability. 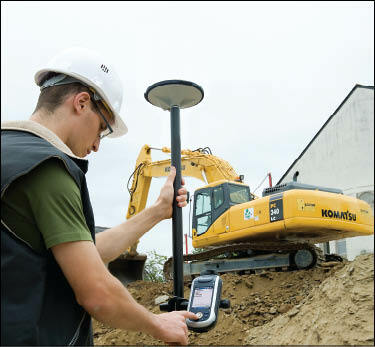 The benefits of GNSS apply to all kinds of surveying jobs ranging from construction to cadastral and even to seismic. The concerns regarding the cost of adding new equipment and of even changing one’s way of working creates a natural resistance in the market. “But it’s a … barrier that productivity and increased profitability potentials usually clear rapidly when people start to look into a GNSS solution,” said Casabianca. For those users currently operating GNSS equipment, several recent developments may have an impact. These include the possible consequences of the splashdown last December of three Russian GLONASS satellites. At the time of the splashdown, Russian officials announced that there would not be a significant impact to the effectiveness of the current GLONASS and that the system would still provide users with more than enough coverage to get accurate information. Casabianca said that it is Ashtech’s understanding that GLONASS, in spite of being three satellites shy of what was planned, will continue to strengthen the GPS constellation for professionals in places that are problematic, such as in urban canyons and under foliage. At press time, this petition had received a waver by the FCC to proceed, which has the potential to create problems caused by less bandwidth dedicated to surveyors. This might be a short-lived problem. Within the next five years it is expected that the L-5 frequency will become part of the portfolio of frequencies available for the commercial use of surveyors, opening the option of dual- and triple-frequency systems. Unfortunately, the first surveying tools to take advantage of the additional frequency could be expensive. But the reason for that expense is the same reason why the L5 frequency could remain the province of surveyors. Casabianca said that the research and development of a new dual-frequency L1/L5 receiver is going to represent a hefty investment, which consumer goods-manufacturers are likely to avoid due to a probable lack of return on investment. He also pointed out that size, power consumption, and the cost of L1/L5 devices will likely be prohibitive to companies in other industries. “My point of view is that an L5-only product will be of interest only to specific professional markets, like avionics for instance,” said Casabianca. “But the main change for the GNSS market will be the GNSS products offering extending to triple-frequency systems. For professionals, the triple-frequency-user benefits will be tangible, such as faster acquisition, enhanced quality of the solutions, and better coverage in difficult environment. This will expand the product portfolio for every market not only in terms of features but also price-to-performance choices as single- and dual-frequency systems will remain available. The combination of frequencies will also convey a global increase of performance that will open new markets for RTK applications.” For more information visit www.ashtech.com. Kevin M. Smith is editor of this magazine.